​Circulate Your Dollars With Black Owned Businesses! We are on a mission to become the largest network of Black business professionals and entrepreneurs on the planet. Find Black-owned businesses near you. Watch our online TV channel. Learn how we can get you new customers. Get a FREE listing in our directory. business here on our website. Black business owners and professionals today! SHARE this website with your friends and family. Let's make a difference in our communities and circulate our dollars! Are you in business? List your business in our directory for FREE! Support Black entrepreneurs. Let's help them survive and THRIVE!" Watch business content catered to black business professionals and entrepreneurs! ​Download our web app by clicking the link below. Our online black business directory has been online since 1992. We have recently re-dedicated ourselves to growing one of the largest and most used directories for African Americans. 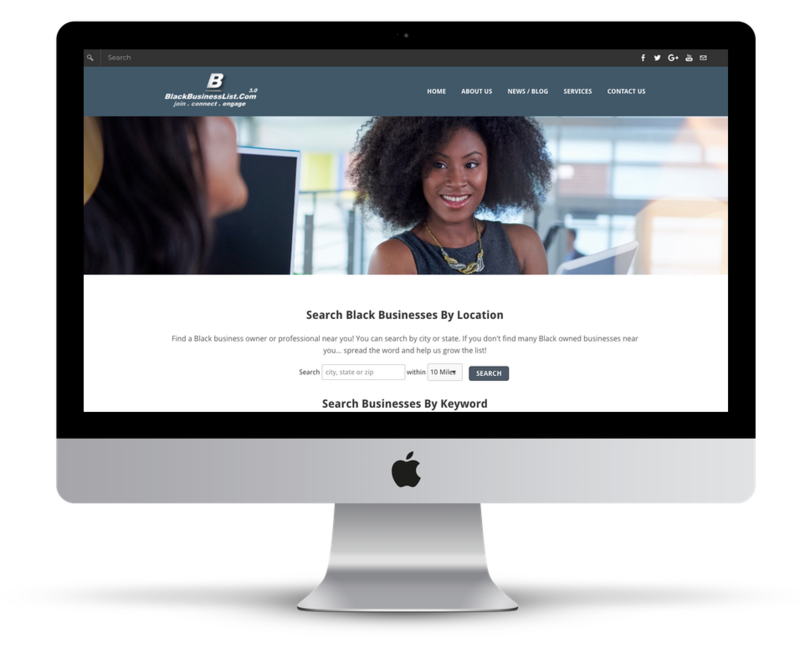 Browse the list and find a black business in your area! Get listed with us and get in front of more people who are inclined to support you in your business endeavors. Did you know that people are "looking" for someone like you but they don't know that you exist? We're pretty active on social media. Here's a sampling of our posts. Make sure you visit our page and follow us! You can even share some of our content directly from this page!